Titanic's broken stern section is resting flat on the surface of the Atlantic. Passengers in the lifeboats watch on as the events unfold. Even after seeing the ship break in two, some consider that the stern section may stay afloat. After all, it is an unsinkable ship! Then Titanic's rudder and propellers began to rise out from the water. What is unseen beneath the surface is that Titanic's bow is still attached to the stern by only the ship's double bottom keel. The weight of the bow pulls the stern's broken end downward into the sea. Titanic's stern rapidly rises higher and higher into the air to a near vertical position. The bow section finally breaks away, leaving the stern section alone on the surface, all while holding it's position assisted by the weight of the engines and continued flooding. The people still aboard would have been in a state of fear and confusion to what was happening around them. "Her deck was turned slightly toward us. We could see groups of nearly fifteen hundred people still aboard. Clinging in clusters on bunches. Like swarming bees. Only to fall in masses, pairs, or singly. 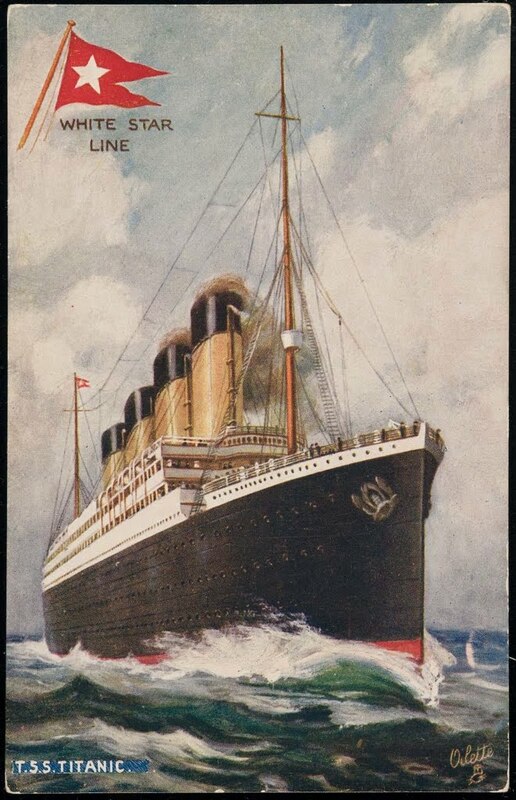 As the great after part of the ship, two hundred fifty feet of it, rose into the sky." The stern floats for about a minute, a minute that would seem like an eternal nightmare for those still aboard. Then as the flooding continues, Titanic's stern begins to sink.